The Benifits of CleanEffects Whole-House Air Cleaner! No customer information that is given to Thompson's Heating & Air is ever sold or exchanged with other companies or entities. All contact and/or financial information is kept stricly private, except by the express permission of the clients. 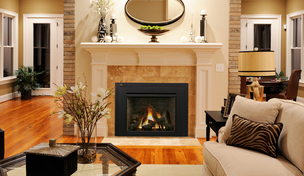 Looking for a heating, AC or fireplace company to provide excellence in service or installation? Thompson’s Hearth, Heating & Air is your local independent Trane comfort specialist and fireplace pro! Contact Thompson’s today for real solutions in home comfort! We guarantee superior service & the very best value! 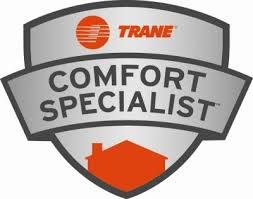 Here at Thompson's Hearth Heating & Air Conditioning we use Trane products. We stake our reputation on the fact that Trane products work when they need to, year in and year out. When we say “expect more from Trane”, we believe it, because Trane backs it up with our over 90 years of industry-leading innovation, engineering and manufacturing excellence. We work to meet the tightest specifications and highest standards in the industry with every one of the Trane products we install. Trane doesn't just design and manufacture products- they put 'em through the mill. Not just once, but again and again. So remember, here at Thompson's Hearth, Heating & Air Conditioning we truly believe "It's Hard To Stop a Trane." Thompson's Hearth, Heating & Air Conditiong is a proud provider of these fine manufacturers.